We Are A Leading Aluminum Lattice Patio Cover Contractor in Phoenix AZ! The Business of Creating SHADE! 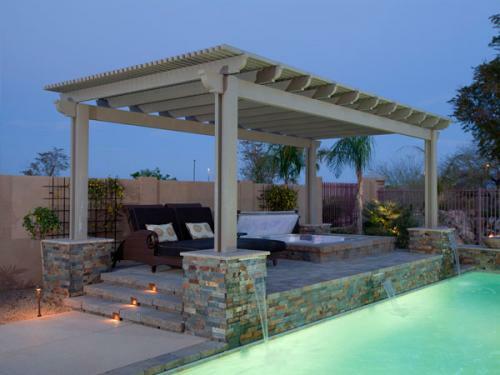 Lattice patio covers are also known as pergolas, ramada’s, or gazebos. 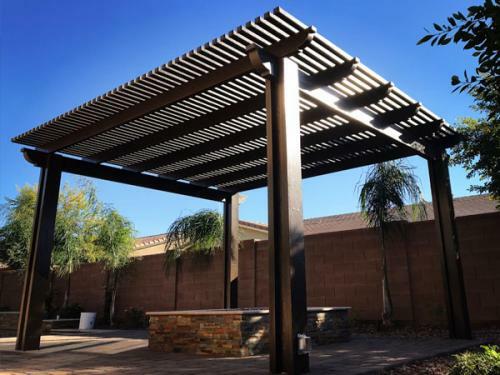 Our lattice patio covers differ, as each are crafted from highly durable Aluma-Wood. What is Aluma-wood? It is manufactured from durable, lightweight, and strong aluminum. It’s embossed with lifelike high quality wood grain for that more natural look. It perfectly captures the look of wood without the maintenance needs of real wood. 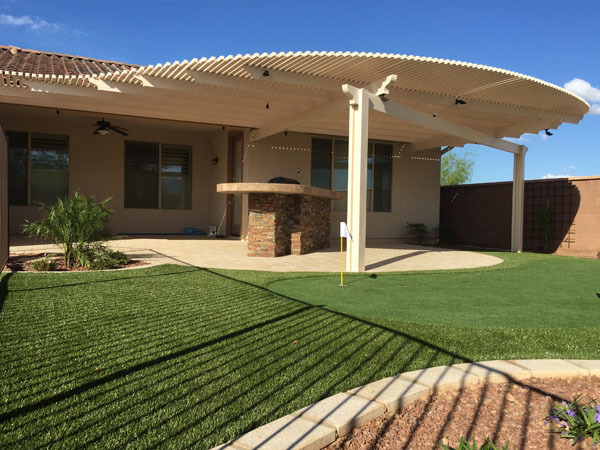 Aluma-Lattice will not crack, warp or split and it never needs painting! The finished product looks beautiful from the day it is installed and remains that way for years to come. 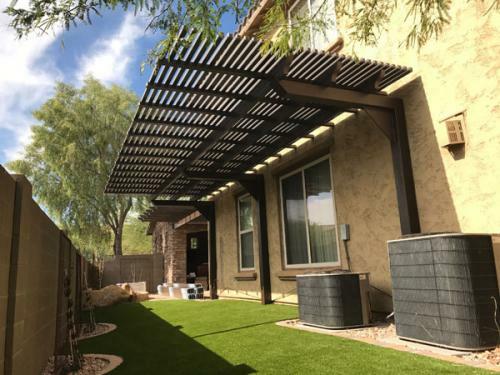 JLC Enterprises uses computer-aided drafting software to assist in customizing the look of your new lattice patio cover. 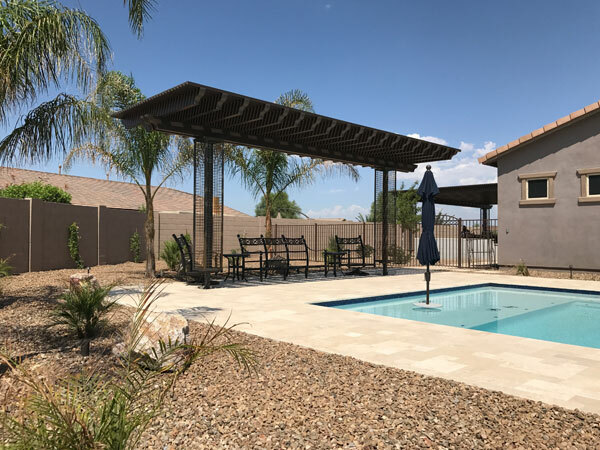 We will assist you with design the to create the right shape and size to fit your back patio and enhance your backyard. Whether you are looking for a simple square or a complex curvaceous shade sculpture; JLC will ensure it complements your home perfectly. 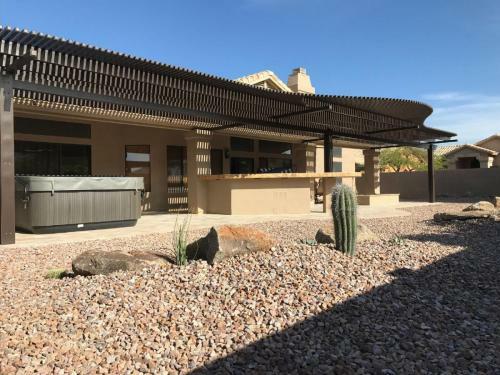 Lattice patio covers provide shade and filtered sun and are an awesome addition to your front entryway, side yard, or backyard. 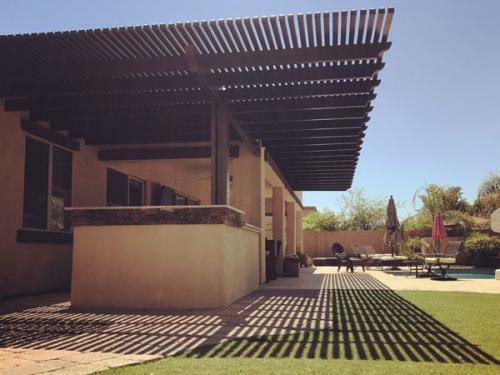 They provide shade while allowing a small amount of sunlight to shine through. 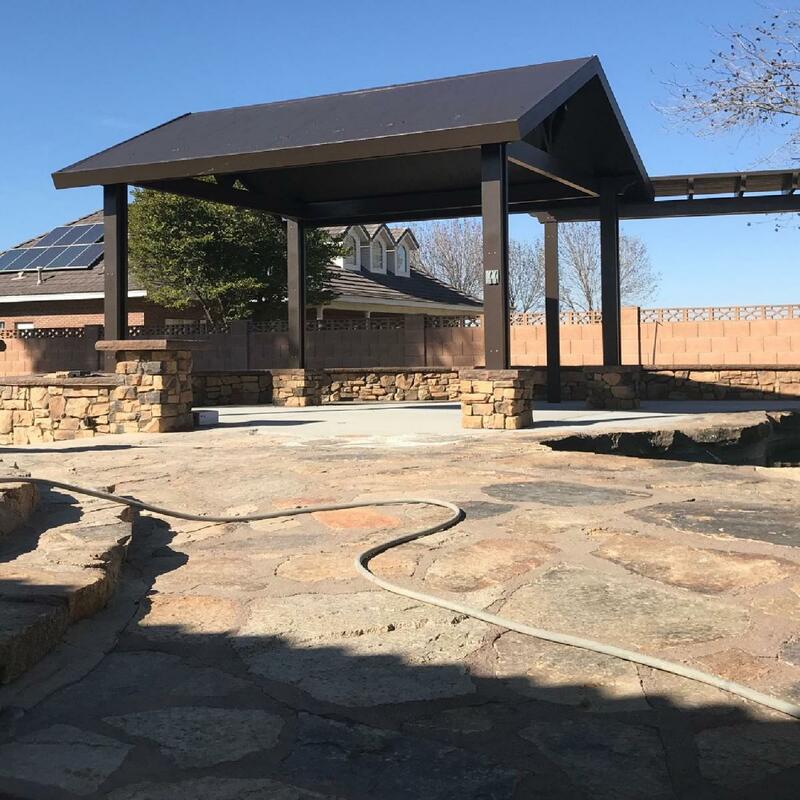 We can create a freestanding lattice patio cover in your yard, turning it into an entertainment area, private retreat, or a focal point in your landscaping. 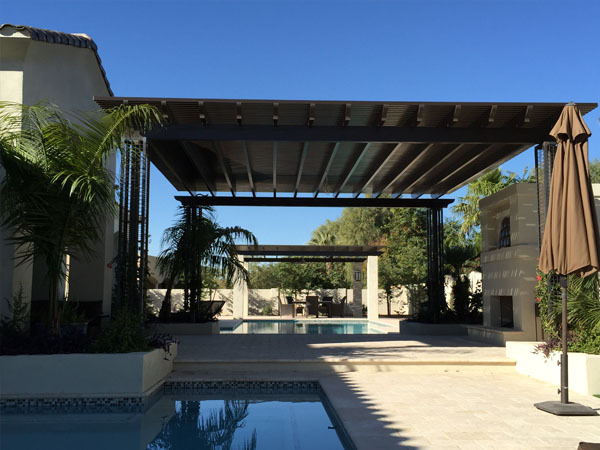 We can also extend your existing cover that is connected to your home providing filtered sun to your exposed arcadia doors and windows. Patio covers are an affordable addition to your outdoor living space and enhance the exterior of your home. Your aluminum lattice patio cover can be constructed in almost any shape, size or style. 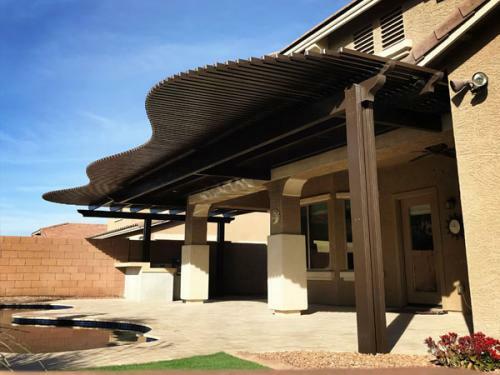 JLC Enterprises will help you find the perfect design that will complement architectural features of your home. 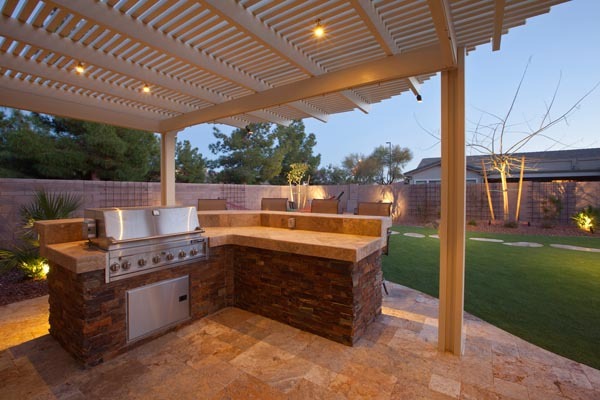 BENEFITS AND FEATURES OF LATTICE PATIO COVERS! Porticos, Pergolas, Ramada’s, Trellises or Patio covers in low maintenance aluminum. 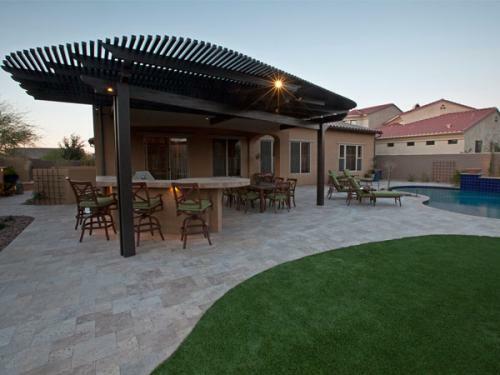 Adds affordable entertainment and relaxation to your outdoor living space. Enhances the value of your home and adds beauty. 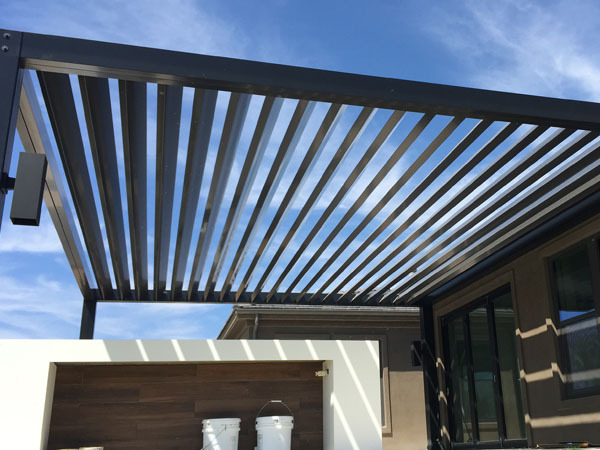 Adds shade to your living space outdoors while still allowing a small amount of sun to shine through. The aluminum that the lattices are constructed with is practically maintenance free.